You are here: Home / Theme Months / Shirtmaking Month / Shirtmaking: Plaid Power! I hail, arguably, from the contemporary plaid shirt capital of the world – the hallowed grunge ground of Aberdeen, Washington, USA. Here in the Pacific Northwest we’ve worn plaids ceaselessly from the 19th century, through the popularity of the ’60s and ’90s, and up into today’s so-called “hipster” resurgence (hint: we don’t say “lumberjack” – we call these men and women “loggers”). Plaid has such a rich history it is quite beyond the scope of this piece, but I will mention a few bits and bobs. First, fabrics with these weaves may more correctly be called tartan – but are generally referred to as “plaid” in the United States. The term “plaid” can cover not just what you and I think of when we hear the word (like madras or kilts) but can also refer to gingham, check, and even houndstooth – and its history dates back at least 3,000 years before modern popularity. Depending on your age and locale, you might associate plaid with the Scots, with beards and man-buns, or even Southern California pre-Beach Boys history. Plaid reached a bit of a heyday in the United States in the mid-90s – there were 163 instances of plaid in the alt-90s film Clueless – but it’s back again, in a big way. Plaid fabrics have survived astonishing incarnations, and they are here to stay. The scope of this piece pertains to plaids in shirtmaking. And if we’re talking about shirtmaking, you can’t talk about plaid without delving into plaid flannels. 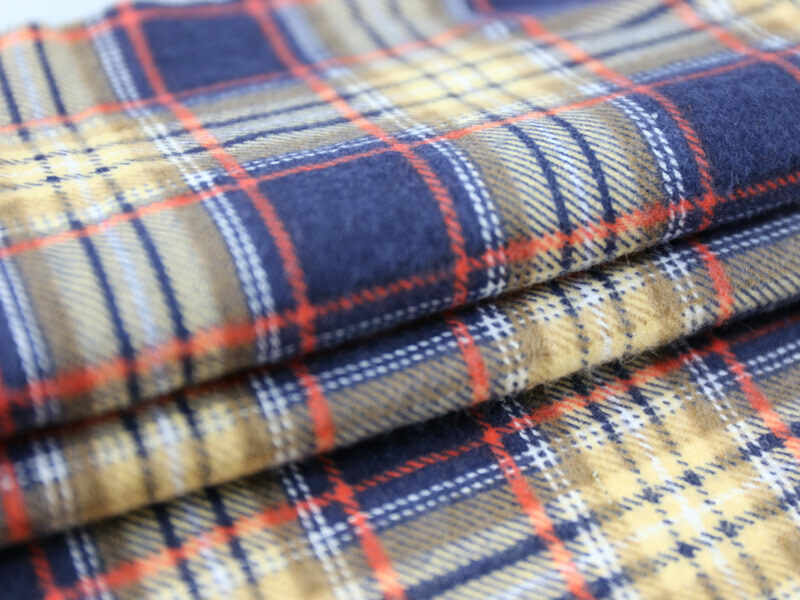 As you probably know, a flannel is a fabric in either a twill or plain weave that is brushed, napped, and/or constructed with a loose grain that results in a lovely softness (hilariously, I discovered today that the Wikipedia article on “flannel” uses one of my photos!). When I went off to college a friend counted forty three different plaid flannels in my closet. Back in those days we found these in the thrift store. Sometimes you’d score a Woolrich or Pendleton, but usually you’d find a polyester knock-off. In the ’90s you rarely came across a women’s fit – so we wore menswear and suffered overlong sleeves and dropped shoulders. But now that we can sew, we get to take matters into our own hands! One final note, before I get down to business. The plaids I will be talking about today are woven and yarn-dyed weaves – not to be confused with a printed plaid, or the increasingly popular plaid knit fabrics we are seeing everywhere. I’m going to talk a bit about plaid basics, and at the end of this piece I have two Pinterest boards – one on plaid resources, and the other citing plus-size plaid fashion inspiration. Plaid is a playground. It is exciting and fun! The very yarn-dyed weave that can seem intimidating to match, is also a blessing when it comes to shirt symmetry! For instance, once you know where your breast pocket is, then as long as you cut out both front bodices properly it’s very easy to place the pockets symmetrically. The same goes for darts, pleats, and all the other niceties we are used to using for women’s fit garments. For the basic principles that will help you get started, I haven’t found a better brief summary than the University of Kentucky handout “Working with Plaids”. This is a great document for estimating yardage, straightening the grain, determining if your plaid is “even” or “uneven”, and designing your garment with good visual principles in mind. Even reading the relatively brief U of K handout can make your eyes swim. But don’t sweat it. Step one: find a striking plaid. Step two: sew a shirt. I often suggest finding a boys’ shirt and making it up, as it will be quicker, less costly, but still give you good plaid experience. And I’m sure you will be able to find a sweet little boy to gift! Don’t be intimidated. Sure, we plaid freaks can notice even the slightest bit of asymmetry. But remember, you are walking amidst messed-up plaids everywhere. For instance: the shirt below is sold for around $160 from a popular retailer. Handsome model aside, the gorgeous colors of this plaid will generate a favorable effect. But upon closer inspection we see this shirt is a Plaid Nightmare. The pockets and sleeves are entirely mismatched, and the front placket bias strip seems a bit injudicious. Even so, most people will only notice these problems subliminally. Another example: a jacket. Note the collar is not symmetrical, nor the sleeves matched, and the welt and breast pockets are sad and want to go home. The hem is sloppy and ends 3/4 of the way through a horizontal motif. Again – this is a typical example of retail plaid-wear. So – now that I’ve got you scrutinizing plaids you’ll see this is what most people are wearing. This means any improvement you make on plaid-matching will generate a favorable response to the beholder’s eye. Below is a great example of pleasing plaid placement! Note the front placket, sleeve- and bodice-matching, patch pocket match, waist seam match, and sleeve tab match! Adorably, the cowl’s simple tab is judiciously offset perfectly from the bodice’s plaid. This is a lovely marriage of the plaid weave and garment silhouette. OK, at this point I’ve talked myself into copying the garment. … but disruption can be fun, too! My son is shown below in two different plaid garments. The first car coat (made from a cotton flannel and lined in satin) features four very large, bias-cut patch pockets. The placement of the bias stripes and the symmetry of the pockets break up the bodice in a pleasing, relatively non-jarring way. Note that the fact the center motif is the exact width on the shirt, as it is in the fabric. It generally will be more desirable for you to cut such that the center front has a perfect vertical motif (or, as in the above example, a near-perfect one), than worry what is happening at the side seams. Occasionally you will get a plaid fabric that matches your shirt geometry perfectly and that’s Party Time, for sure! To the extent you add darts, pleats, and gathers – your plaid may not match everywhere. One thing about many forms of kiltmaking is the plaid weave itself was used to design the pleats. This isn’t likely to be the case in your contemporary patterns. But you still have many garment choices. You may want to plaid-match your shirt body beneath the bust darts and ignore side seam matching above them. You may want to lengthen or shorten hem or sleeve so you can host the hem at the end of a plaid motif. … but make your bias symmetrical! This plaid shirt shown below on my son was perfectly symmetrical… except for one detail. The first person to name it gets a prize! The prize being, they are a Huge Plaid Nerd like me! You will find many retail plaids make use of bias. I hope this piece has convinced you that plaids are less about “rules” and much more about creativity! I have tried to be as brief and comprehensive in this plaid write-up; but the subject is vast. To that end, my two Pinterest boards below showcase a few great curvy plaid shirts and shirtdresses, as well as some resources if you want to dive down the plaid rabbithole! So what about you? What are your experiences with plaid shirts? What are your inspirations? And where are your favorite places to find these yummy fabrics? I look forward to reading your feedback in the comments. I’m tickled to see the “Plaid Family”. You do a wonderful job and you have a cute family. I’m also a NW plaid fan. I’m in Shelton and I just made my first plaid dress in Pendleton navy wool. I didn’t have much matching to do so I’m still in awe of your plaid skills. Shelton! How wonderful! We have a cabin on Mason Lake. I hope you don’t end up addicted to plaids and plaid-matching. It’s too late for me, however! Ha! All I can say is amazballs! I love all the different ways we describe fabric. I do have a quick question, from the scot side of the family I was always to buffalo is a check not a plaid. LOL your thoughts? I tend to think of buffalo and ginghams as checks, not plaids. I think to be “plaid” you need a third color. But heck – I am so, so NOT a plaid expert! I have been wondering, since writing this article, WHY buffalo is so popular! I like it just fine (especially in unusual colors like teal or seafoam) – but it’s interesting how popular it is! I’m so glad I’m not the only one who notices all the flaws of retail plaid clothing! Every time I see plaid in RTW I notice all the places someone dropped the ball on matching. Yes, and especially after writing this piece I am peeping plaids even more than usual! Ha! I think RTW has not dropped the ball. They’ve stabbed holes in the ball and stuffed it in the bin with consistent sizing and fabrics that last more than 10 trips through the wash. Getting one more cuff or collar cut from each yard of fabric has greater priority than plaid matching or even cutting on grain sometimes. I agree! But I also think it’s amazing how often some RTW, even *cheap* RTW, will have some pretty good plaid matching! It makes me pretty curious to see what’s going on in the production line! I guess I’m officially a plaid nerd!! I am the same as you (re: plaids and tartans), but technically we’d be incorrect. However, at least in the States, I think our understanding of “plaid” is more commonplace than the technically correct term. Great article! You had me at “loggers”, because that’s also what we call them here in Port Angeles. Lumberjack seems wrong! And I hadn’t really realized how unmatched RTW plaids can be. Hello fellow Washingtonian! 🙂 We used to live in Port Townsend. Yes, many if not most RTW plaids have mismatched elements to their shirts and garments. In researching this article I was surprised how often I found this even in high-end retailers! I guess I won’t stress too much about matching, then. ☺️ I’ll just do the best I can, knowing my sewing will be much better, and have better seam allowances! Witty and fun article. I’m amazed at the technical information of the shirt month posts and your plaid/tartan/gingham is the whipped cream on the sundae. You’ve almost talked me into making a plaid shirt! Please keep writing, I love your style. Yes, this month has been amazing for articles! A great resource for shirtmaking. OK. Just remember that you ASKED for this. Plaid shirts – didn’t make one, just butchered 3. I was doing a sew-along for the PatternReview.com 2014 Sewing Bee. The challenge was to make a garment from men’s button down shirts. Here is a link to results. http://sewing.patternreview.com/review/pattern/105223 The kidlet wanted one too, so I took some time matching bits of the sleeves and torso on hers. But I still had another plaid shirt, and the kidlet wanted a red/black jumper. So this! http://sewing.patternreview.com/review/pattern/106175 This shirt was a polyester horror that matched nowhere, just like you described. Parts of it weren’t even on grain! I yammered on a lot about that in the review, so I’ll spare you. Great article! Rick on with the plaidness! Wow! Thank you for all those links! I really liked the bloomers and camisole especially. And what a cute pattern! You are right about RTW. A shirt that is cute enough, upon inspection, can be off grain, let alone unmatched for plaid! You did a great job making something cute out of a meh-shirt! LOL @ your Burning Man comment! Thank you for a highly enjoyable, entertaining and educational post. I lived in my “plaid” shirt, ripped jeans and metal tee shirts from 89-93. It was kind of a uniform in the UK for any kid/ young adult that was into metal/ rock/ grunge. I’d love to wear that shirt once again! I adored it, blue mostly with a tiny bit of red, in brushed cotton, not a bit of it was matched though- it did come from a very inexpensive store. I freely admit that I love tartans and plaids, the mid 90s me still has many pairs of baggy plaid trousers (very common here back then at festivals, biker rallies and the few surf beaches we have!) and I have the fabric for making more 😉 I think I have been inspired to make a shirt too after reading this. Funny the language we choose for this style of fabric depending where we’re from though. I identify tartan as the wool fabric in traditional colours and weaves, maybe because a small percentage of me is Scottish, and the rest of the plaids is simply all referred to as “checked”…and gingham is gingham! The term “plaid” is being used here more though, I think that is down to the fact that we do share our interests across the whole English speaking world through social media, blogs etc. Whatever we call it, it’s a timeless fabric design for all ages, men or women and long may it be part of our wardrobes!!! “I lived in my “plaid” shirt, ripped jeans and metal tee shirts from 89-93” – Ha! Add Doc Martens and that is still what I tend to wear! I don’t wear ripped jeans that much – too cold and wet here. Although I suppose I could throw on a pair of tights underneath – maybe plaid ones! LOL! Yes, I also thought of “tartan” as being a pattern in wool specifically associated with a Scottish clan. I do think our lexicon is changing though, as you say, as we all connect with one another online. The pic of your son, the collar is the pastry that’s not symmetrical. Great article btw. It came at a good time as I’ve been contemplating hard about trying to make a plaid flannel shirt. Lol! Darn auto-correct. It’s the plaid, not the pastry. Ha ha. Good job! LOL agt “pastry”. Sounds like you (or at least your phone) has Thanksgiving on the brain! Excellent article Kelly! I have been sewing for almost 50 years and although I love plaids, felt intimidated by them. This article gave me new eyes. I am glad to hear it! I would love to see anything you make. Ha! Yes, I have had more than one project line up perfectly (stripes or plaids) when I was only cutting on grain, not fussy cutting. Funny when that happens!